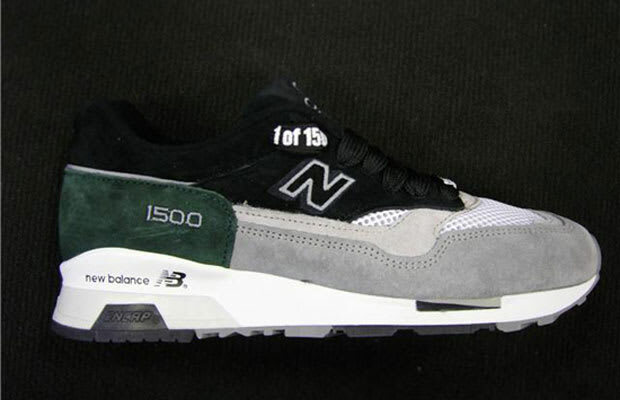 There are lots of good European New Balance partner projects out there. Crooked Tongues, SNS, Wood Wood and Norse Projects have all given some runners respectful remixes, but Berlin's Solebox mastered the late 1988 1500 model during the second half of the decade. The people of Europe love this model (way, way before the New Balance boom of recent years) and they particularly love the 1500 shape that was coming out the UK-based Flimby factory in the mid 2000s with its stealthy, angular silhouette. Solebox put out plenty of takes on this model, but the best ones, like the 1500GGB variation, slotted in perfectly with the original colorways from back in the day. Those that knew snapped up the meagre 150 shoe production run, from collectors to NYC-based 'Lo heads who understand this model's significance. Many of today's NB obsessives were snoozing or too fixated on lurid Dunks to notice these drop, but if they appeared today in this form, the hype might break the internet.